By enrolling in the graduate program in Horticulture at Washington State University, you form part of a team of students, faculty, and staff dedicated to the scientific and intellectual pursuit of knowledge in horticulture. Depending on your career goals, your studies may concentrate on such basic sciences as plant physiology, biochemistry, and molecular genetics, as well as horticulture. 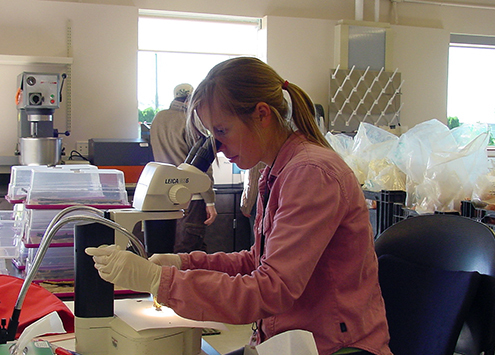 You may explore a variety of subjects, such as plant pathology, soil science, biological systems engineering, environmental science, or the social sciences to complement your graduate education. Keeping your interests and goals in mind, your research project, course requirements, teaching and/or Extension experiences for your graduate work will be individualized and determined with your faculty advisor and graduate committee. 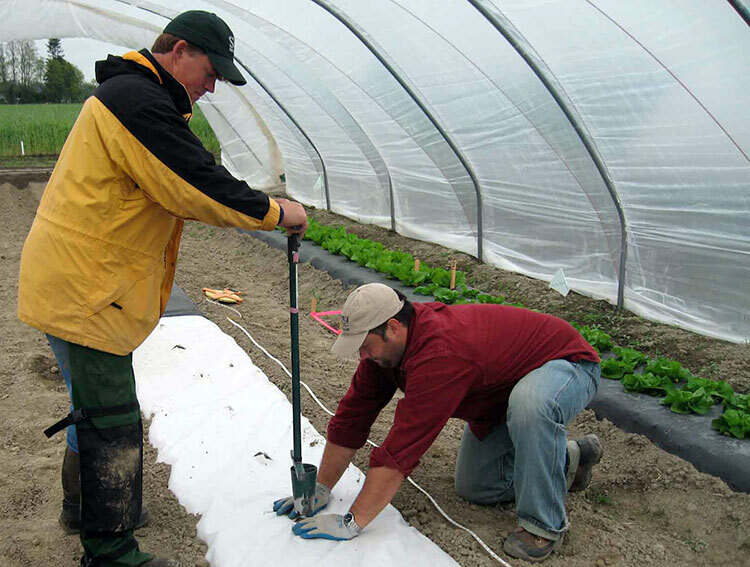 Students with undergraduate majors in the plant sciences, including horticulture, crop science, plant pathology, environmental science, genetics, plant physiology, and biochemistry, may be well prepared for graduate work in Horticulture. If your undergraduate degree is not directly related to plants, you may be eligible by strengthen your preparation through enrollment in additional courses before applying, or while pursuing your graduate degree. Undergraduate students who are pursuing studies not related to plant science and who contemplate graduate work in horticulture should take as many courses in the basic physical and biological sciences as possible. Your graduate studies may be tailored for your individual background and needs. For a complete application, the following materials are required to complete your application. All materials should be received by the deadlines outlined below for priority consideration – including GRE and TOEFL. Applications are most competitive when these priority deadlines are met. An online completed Application for Admission to the Graduate School, on which the student should indicate horticulture as the major. A $75.00 application processing fee payable by Visa and MasterCard. There is no waiver for this fee. One complete set of official transcripts of all previously earned credits to be sent directly to the Graduate School (copies of official transcripts are acceptable for the application review process and may be uploaded with your application). Applicants who attend school outside the United States or Canada must submit: transcripts, mark sheets, grade reports, or examination results, along with degree certificates from all higher education institutions attended outside the United States or Canada. When sending official transcripts from schools located in non-English-speaking countries, have each institution submit both the English translation plus an original language record. Please review the Graduate School website for further information on transcript requirements, as well as addresses to send your transcripts. Three letters of recommendation from professors or employers. Once you submit your application, your references will be contacted automatically through the online application system and asked to submit a recommendation form electronically. A Statement of Purpose, which also describes why you are a good fit for WSU’s Department of Horticulture. International applicants must also submit TOEFL or IELTS scores to meet minimum English proficiency requirements of the WSU Graduate School (sent directly from the testing agency to University 4705, department 0). Scores must be less than two years old at the time of admission. Some exceptions are noted at the link. Note: The Graduate Record Exam (GRE) is NOT required. There is a committed source of funding to support the student (an assistantship or a commitment that the student will be self-supporting). Departmental criteria generally include a G.P.A. of 3.0 or better, as stipulated by the Graduate School, supportive letters of recommendation, and a clear “statement of purpose” by the prospective student which also describes why they are a good fit for the WSU Horticulture Department.. Within the department, the decision for admission and recommendation to the Graduate School is made by the Graduate Steering Committee, and approved by the department chair. Although the department sends unofficial notice of acceptance, formal notice of acceptance into the graduate program will come from the Graduate School. For information on transfer credits, contact the Graduate School. Applications are accepted at any time and are reviewed as they are received. To be assured of consideration for admission to the graduate program in Horticulture or for a graduate assistantship, the following deadlines should be met.